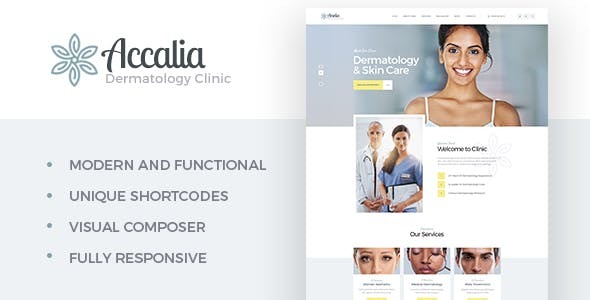 Accalia – ultimate powerful & responsiveMedical WordPress theme. It will fit projects in the field of hopistal, dermatology clinic, clinique, ambulance, nursing care, medical institution. Also it works for medical equipment shop, medical hospice center, infirmary, convalescent home or even sanatoriom. Furthermore it is perfect for health and beauty industry, like dermatology clinic, cosmetology, skin care, hair styling, nails care, plastic surgery, beauty clinic, hairstyling, cosmetic clinic, laser surgery, spa, wellness hospital, massage and beauty care. 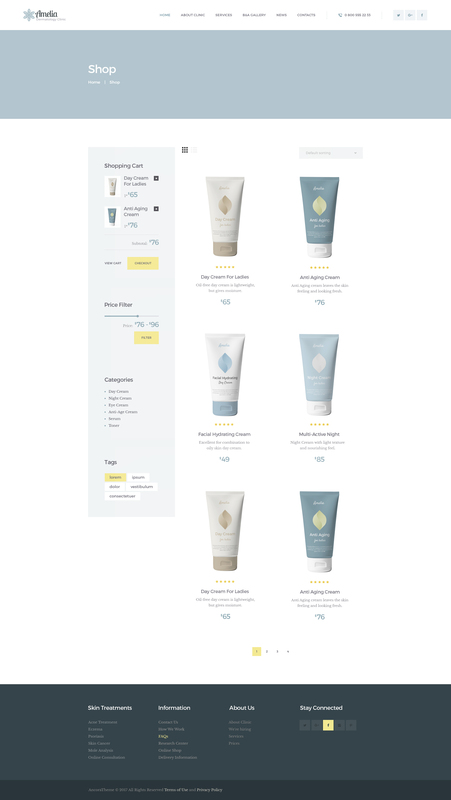 Accalia is made compatible with WPBakery (aka Visual Composer, which we think is better than Elementor).